One of Orlandâs most iconic and profitable commercial buildings. Formerly the historic Hotel Orland, now a fantastic mixed-use investment opportunity at the corner of 4th and Walker St. (HW 32) next to Farwood Bar and Grill. Six commercial units and ten residential units. 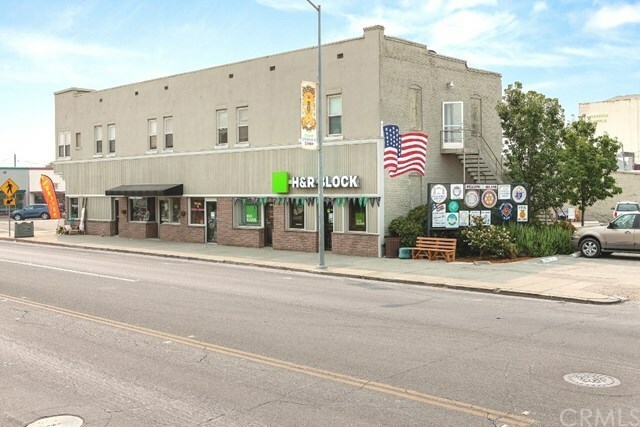 Fully leased Commercial tenants include H & R Block, Barber Shop, Thrifty Threads, Crab Apple Corner Antiques and Karate Studio. Residential units include one bedroom, one bath with kitchenettes and are seldom vacant. Parking on site. Gross rents $85,000+. Property addresses include 401, 402, 403, 409, 411 Walker Street. The information contained herein has been obtained through sources deemed reliable but cannot be guaranteed as to its accuracy. Sq. ft., bed/baths, & lot size taken from public records. Buyer is advised to investigate to their satisfaction.